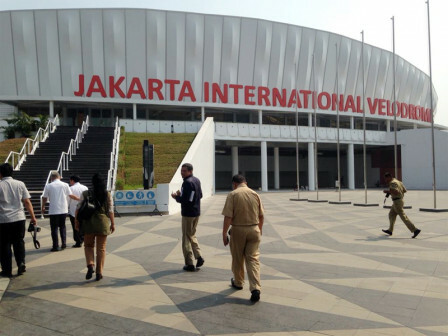 City Council expects Jakarta Provincial Government to immediately form management structure for Velodrome, Rawamangun, East Jakarta.
" We remind City to form Velodrome management structure immediately"
City Council Commission B Head, Abdurahman Suhaimi mentioned, Velodrome management should be cleared. Considering PT. Jakarta Propertindo (Jakpro) only has authority to build Velodrome, not to manage. "We remind City to form Velodrome management structure immediately thus the party responsible for it can be clear," he stated after reviewing Velodrome project, Tuesday (7/17). After Velodrome construction finished, he explained that PT. Jakpro will handover the Asian Games venues management to City. "After that, City must hand it over to other party. It can be returned to PT. Jakpro, or Jakarta Youth and Sport Dept. (Dispora) which is considered to have a capacity to manage it," he conveyed.